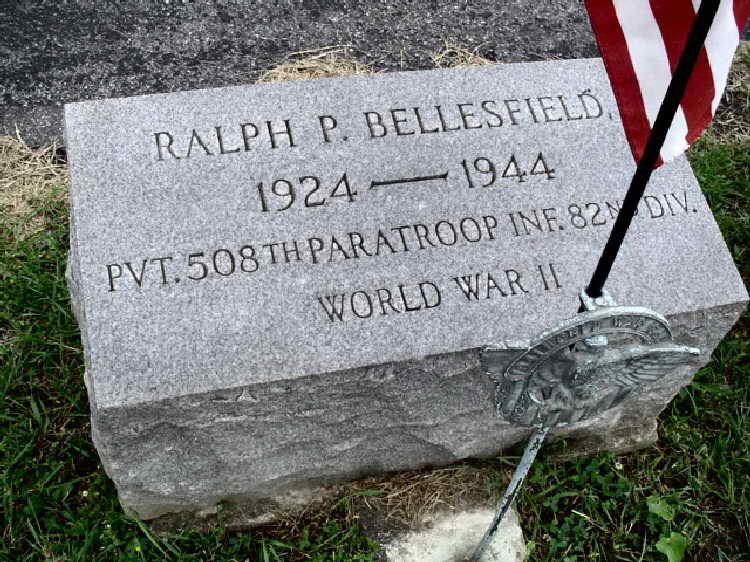 Pvt Bellesfield, A Co, was killed in action on 17 September 1944, at Groot Linden, Holland when the C-47 aircraft he was in was struck by anti-aircraft fire. All of the other troopers were able to jump from the aircraft before it crashed except for Pvt. Bellesfield and the aircrew who were all killed in the crash. Pvt. Bellesfield was first buried in the village church yard at Groot Linden. Then, on 8 March 1946, his remains were re-buried at Neuville-en-Condroz, U. S. War Cemetery, Belgium, in grave S-3-62. His remains were ultimately repatriated and he now rests in Allentown, PA.